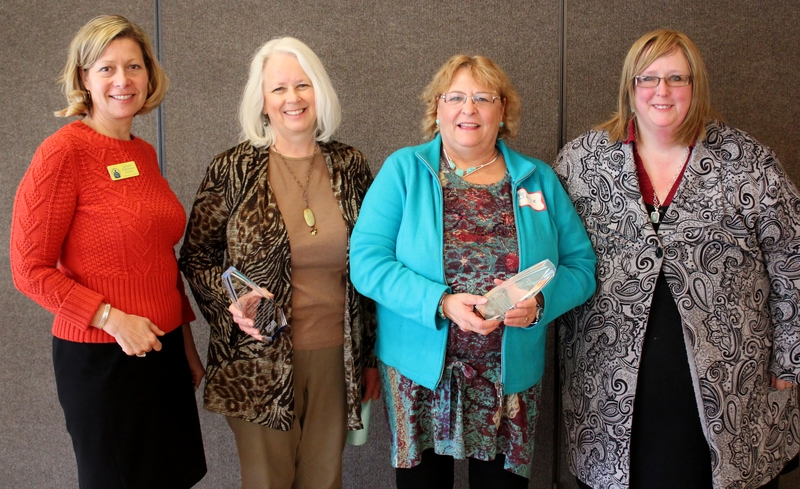 The Thurston Early Childhood Coalition started the Angel Award to recognize community members who have shown remarkable fortitude in their ability to advocate for the well-being of children. 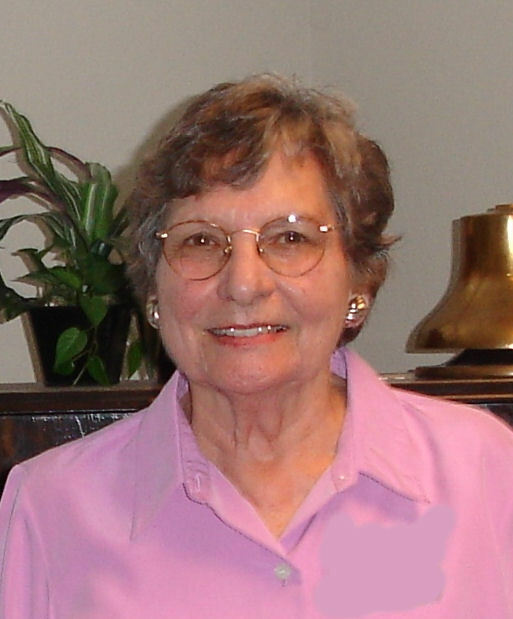 In 2013 the award was named in memory of Margie Reeves who passed away October 15, 2013. Margie spent 60 years as a force for positive change for children and their families. She worked tirelessly to assure that children have early and sustainable access to safe and nurturing places to live and learn and that families have the training and assistance they need to raise their children. Thinking ahead? Nominations will be accepted again in September 2016. Annie has been a leader and advocate for families, child care providers and the early learning system throughout her career. As a Policy Director with the Washington Office of Child Care Policy, Annie championed common-sense approaches that promoted thehealth, dignity, and learning of parents and children. For fourteen years as Executive Director of Child Care Action Council, Annie championed innovations that have shaped the future of child care and early learning throughout Thurston County and southwest Washington. Annie helped establish the Thurston Early Childhood Coalition, and similar groups in Lewis and Grays Harbor to coordinate funding, disseminate best practices, align community strengths, and build capacity. Matt is an amazing father to a twelve year old named Matty. Matty was diagnosed early on with Fragile X Syndrome. Matt has been Matty’s greatest champion, advocate, and cheerleader. Matt is an inspirational and amazing parent. He works hard to ensure that Matty gets everything he needs in school, in the private therapy community and in the medical world. Matt shares his experience and compassion by volunteering with South Sound Parent to Parent. Here he assists other parents in learning how to advocate for their own children. Matty is a delightful child, well loved in school by his teachers and peers. He is kind and sweet, and has come far in learning and developing social skills. His dad’s resilience and steadfast stewardship is the main reason Matty thrives and shines so brightly. Angels always have a smile on and radiate love, compassion, and trust. These attributes and so many others qualify Ellen Duffy as an exceptional person. She has worked in direct service her entire life to ensure the healthy development of early learners, families, and communities. She is tireless in her efforts to serve and protect. Her energy and actions inspire young and old alike to go beyond the obvious, simple and immediate. Ellen makes complex tasks simple, heavy lifting light, and a long day of work short and fun. Her spirit and nature are exemplary. You will find Ellen happily working weekdays, weekends and evenings in service to early learners and families throughout the five county area that constitutes the Timberland Regional Library system. South Sound YMCA Campus Child Care Center provides safe, superior child care in seven enriching classrooms designed to provide developmentally appropriate programming for 3 month olds to 5 year olds. The Center staff are dedicated to providing a safe, nurturing environment for all children to thrive, learn, grow, and develop socially, emotionally, cognitively, and physically. This YMCA Center exemplifies outstanding child care, early learning staff development, and family support services. Early in her career, Phyllis made a commitment to ensuring children and families thrive. She has been working for the Department of Social and Health Services for more than two decades. Her dedication and expertise inspires the families she serves, those she works with, and others in the early learning community. She is a wise and knowledgeable leader that leads through example. Phyllis shows up every where with enthusiasm, a smile and a positive attitude. She goes above and beyond working on behalf of families and early learners. She consistently comes up with creative solutions in difficult situations. Throughout her years of service, she has made a lasting positive impact on multiple generations of families and social workers. Debi Beagle-Manning – Debi was nominated by Sandy Nelson. For close to 30 years, Debi has significantly impacted the lives of children and families in Thurston County. Since 1999, she directly and indirectly made a difference in the lives of 12,000 children and families in Thurston County. She works tirelessly to assure high quality learning environments for children while advancing the professional development of classroom staff, instructing students at South Puget Sound Community College, and serving as an advisor to parent cooperative preschool centers. As the chairperson of the Thurston County Community Network, Debi dedicated herself to the prevention of child abuse and neglect while raising the awareness of Adverse Childhood Experiences or ACES. Debi began working for Head Start while attending The Evergreen State College and then went on to attain her master’s degree. Debi has been a preschool teacher, a center director, an education coordinator, and a director of program and operations for ESD 113 Sound to Harbor Head Start/ECEAP. 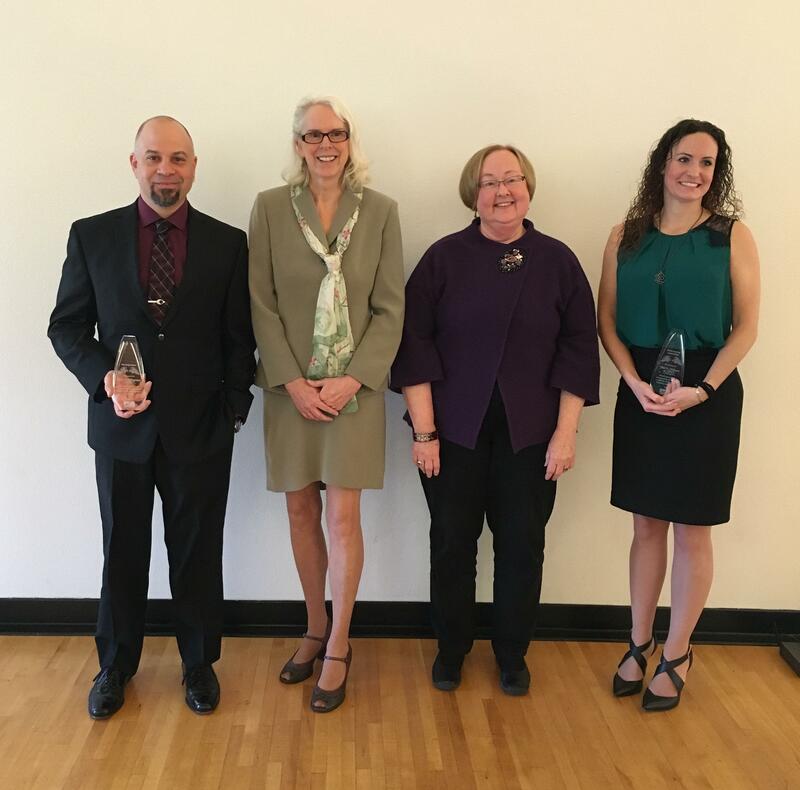 In light of her accomplishments in and dedication to advancing the wellbeing of children and the healthy development of families, TECC is recognizing Debi Beagle-Manning with this 2014 Angel Award. Bonnie Peterson – Bonnie was nominated by Gretchen Thaller and Danielle King. For the past 35 years, as a public health nurse, Bonnie has been educating, supporting and advocating on behalf of families who have children with special needs. Bonnie is a champion for keeping children safe, works vigorously to improve the health of children, and enthusiastically shares information and resources with families, community providers, and others in order to make Thurston County a better place for children and families. Bonnie is an active and long term member of Safe Kids Thurston County. She chairs the Infant/Home Safety Committee and is an active member of the Youth Water Safety committee. Prior to becoming a Public Health Nurse thirty-five years ago, Bonnie worked for Saint Joseph Hospital and the University of Washington as an RN. While working for Thurston County and volunteering in the community, Bonnie maintains a health consulting business and is always looking for ways to keep people healthy or help them restore their health. In light of her accomplishments as a valuable and dedicated nurse and advocate for the wellbeing of children who need special care to thrive, TECC is recognizing Bonnie Peterson with this 2014 Angel Award. 2013 Angel Award presented to Bella Mendez of Right From the Start. Chris Moon from SPSCC, and a TECC board member, presents Bella Mendez with the 2013 Margie Reeves Angel Award. Bella Mendez spends countless hours each week working with families to help them meet basic needs, and increase their access to community resources. For the past 2 years she has been instrumental in leading an event known as “Love Talk Play” in collaboration with the TECC and she has done an amazing job. She has advocated for increased resources and services in the Rochester area. She has worked for several years now to provide improved support and connections for families with limited English abilities and has made a significant difference. Those who know her- trust her. Bella helps families walk through the complex service systems and advocates on their behalf. She is consistently striking up conversations with students, families, and community partners and warmly welcoming them to engage in services that promote healthy child development. She is very approachable and someone does not shy away from hard work- but pulls up her sleeves and jumps right in. Her warm smile puts everyone at ease and her dedicated efforts help the to find success. Bella appears to make it her personal mission to ensure the families of Rochester have what they need to succeed in school- and in life. I feel fortunate to have the opportunity to collaborate with her. Bella Mendez provides a valuable service to the students, school and community. 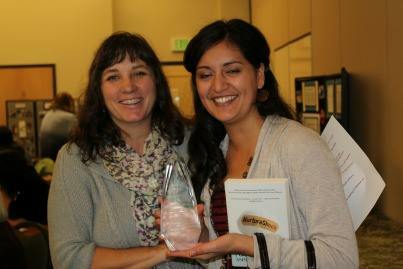 2012 Angel Award presented to Christy Peters of the Thurston County Prosecuting Attorney’s Office. violence, sexual abuse, vulnerable adult abuse and juvenile crime. Ms. Peters is in her seventeenth year of criminal prosecution and has specialized in special victim and domestic violence cases where she has worked with over 400 child and adult victims of physical and sexual abuse in addition to prosecuting on-line crimes against children, homicides, and felony crimes. She’s a sustaining member and past president of Junior League, past president of the South Sound Reading Foundation board, currently on the NOVA school board, the Child Abuse Prevention Task Force, and is instrumental in the creation of the Family Safety Center. She has volunteered on behalf of R.O.O.F., BBBS and the Little Red Schoolhouse, is nationally known for her work on behalf of missing and exploited children. We here at the Thurston Early Childhood Coalition value her awesome spirit of collaboration, find her to be an inspiration, and wish to honor her efforts on behalf of the well-being of the children of our community.